SIX major oil-importing entities, including the Indigenous Petroleum Association of Zimbabwe (Ipaz), Zuva Petroleum, Puma Energy, Total Zimbabwe, Petrotrade (Pvt) Ltd and Engen Petroleum Zimbawe, are responsible for meeting cumulative daily fuel requirements of 4,1 million litres of diesel and 3,1 million litres of petrol in the local market, the Zimbabwe Independent reported. After weeks investigating the state of the fuel sector to ascertain who is who in the industry, the Independent obtained official documents, detailing with procurement, funding and volumes, as well as distribution, among other aspects, showing that between January and September, fuel firms cumulatively required US$4,65 million daily to meet the country's consumption. The companies collectively need US$32,55 million a week to meet the market's fuel requirements. This means they spend US$130,2 million monthly to supply adequate fuel. Zimbabwe, gripped by an acute foreign currency crisis as well as a liquidity crunch and cash shortages, exacerbated by currency volatility and price instability, has been struggling to meet its fuel needs, culminating in recent shortages in the domestic market. To address the severe fuel shortages, government recently negotiated for 100 million litres of fuel from Sakunda Holdings, with payment set to be settled over the next 12 months. Government, which says it has secured a US$500 million foreign currency loan from Afreximbank to support critical sectors, stabilise prices and ensure availability of essential commodities, is subsiding fuel procurement by allowing oil companies to secure foreign currency at the official US$1:1 RTGS or US$1:1 bond note exchange rate. Although reeling from a deep fiscal crisis and unsustainable budget deficit set to scale US$2,3 billion by year-end, government is also subsidising agriculture, electricity supplies and state enterprises, among many other requirements. The fiscal deficit was US$1,4 billion by June. To finance the yawning deficit, government is mainly relying on domestic borrowing through instruments such as Treasury Bills, overdraft with the central bank and cash advances from there, as well as arrears and loans from the private sector. Former presidential advisor Chris Mutsvangwa recently torched a storm in the fuel sector after claiming Sakunda was now a cartel dominating the industry and involved in state capture. He alleged Tagwirei's business gets about US$80 million to US$90 million every month for fuel from the Reserve Bank of Zimbabwe (RBZ). Central bank authorities denied this during the Independent's investigation. President Emmerson Mnangagwa's spokesman George Charamba has dismissed Mutsvangwa's claims as bitter protests by someone with a vested interest in the issue. 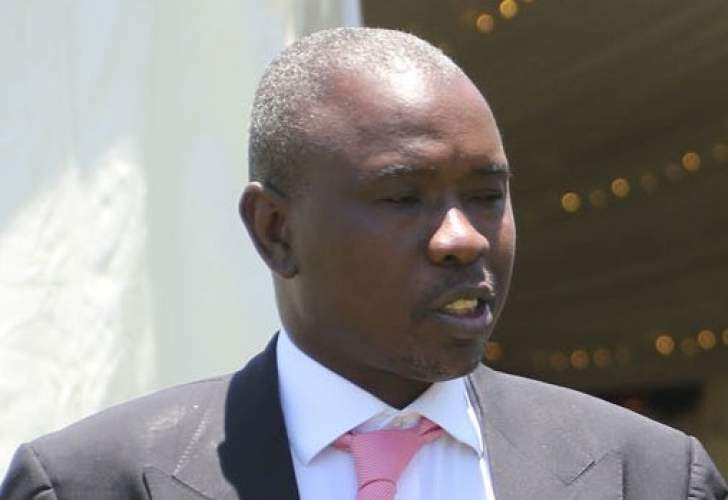 It has been widely reported Mutsvangwa has links with a South African-based fuel giant Mining, Oil and Gas Service (Mogs) which has interests in building a new oil pipeline from Beira in Mozambique to Botswana via Harare and Bulawayo to compete against the Trafigura-Sakunda partnership. Energy minister Joram Gumbo has confirmed the Mogs deal and Mutsvangwa's involvement in it, together with former opposition MDC leader and MP Eddie Cross. But Mutsvangwa has denied that he is a front for Mogs. In the midst of the storm, documents seen by the Independent show Ipaz is importing most of the fuel into Zimbabwe. In order to satisfy weekly fuel market requirements, Ipaz provides 11 700 000 litres of diesel and 8 000 000 litres of petrol. Petrotrade brings in 2 380 000 litres of diesel and 1 120 000 litres of petrol, while Zuva would need to ship 4 500 000 litres of diesel and 2 500 000 litres of petrol to meet local market demand. Puma, which is partly owned by Trafigura, Sakunda's partner, requires 4 400 000 litres of diesel and 3 600 000 litres of petrol to adequately supply the country's weekly fuel needs. Engen contributes 2 700 00 litres of diesel and the same volume of petrol. Cumulatively, the six entities would need to import 29 780 000 litres of diesel and 22 620 000 litres of petrol to keep the local market supplied with enough fuel supplies. On a daily basis, the oil companies and Ipaz would need to collectively import 4 254 285 litres of diesel and 3 231 428 litres of petrol. Sales figures contained in the documents show between January and September, the six entities collectively sold 749 321 161 litres of diesel at a cumulative daily average of 2 744 766 litres. Average sales for the month of September stood at 4 076 245 litres a day. Cumulative diesel sales declined from 59 650 517 litres in January to 50 670 886 litres in February before steadily rising and falling, eventually peaking at 122 287 36 litres in September. The sales for March were 65 654 219; April (58 769 785); May (77 923 912); June (91 529 117); July (111 238 087); and August (111 597 274). During the same period, the six entities collectively sold 496 047 307 litres of petrol at a cumulative average of 1 817 023 litres. The September average was 2 867 140 litres. Petrol sales steadily rose from 20 745 970 litres in January to 86 014 191 million litres in September. The petrol volumes for February stood at 34 721 716; March (59 455 223); April (31 870 867); May (49 860 137); June (58 623 621); July (79 526 109); and August (75 229 473). In January, the fuel companies' daily average sales figure was 691 532 litres of petrol before sales peaked at 2 867 137 litres in September. The cumulative daily average was 1 817 023 litres, while the September average was 2 867 140 litres. The total volume stood at 496 047 307 litres. The daily foreign currency requirements based on the September sales was US$2,85 million, while the total daily foreign currency requirements were US$4,65 million. Total weekly forex needs were US$32,55 million. The local fuel sector has been changing over the years as multinationals exited, while indigenous players gained ground and entered into mergers and buyouts. BP & Shell and Caltex, for instance, exited the local market, paving way for indigenous players such as Sakunda Supplies (Pvt) Ltd and Redan Petroleum. Engen Petroleum Zimbabwe, a joint venture between Malaysian national oil company Petronas and local shareholders, has also grown its footprint. Ipaz, a grouping of local fuel companies, is, however, the dominant player, according to official documents. Sakunda and Redan were some of the key members of Ipaz until they were taken over by Singaporean-based Trafigura group, one of the world's leading commodity trading companies, and Puma Energy - which are related companies - respectively. Puma is a mid and downstream oil company, majority-owned by Trafigura and the Angolan Sonangol Group. Trafigura and Puma's partnership with Sakunda has changed the local fuel landscape as they also have interests in fuel infrastructure. After being accused of being a cartel, they stepped in to rescue the country from a fuel crisis. Ipaz was formed in 2004 after a nasty fallout between local and international fuel players to counter the dominance of the Petroleum Marketers of Zimbabwe (PMZ) then controlled by multinationals, BP, Shell, Mobil, Caltex, Total, as well as Engen and three indigenous companies. A year later, government pushed for the merger of local fuel companies with the multinationals to work under PMZ to create a more stable fuel industry. Questions sent to the Energy ministry permanent secretary Gloria Magombo for further details, explanations and clarifications of the fuel sector issues and dynamics had not been answered at the time of going to print last night.